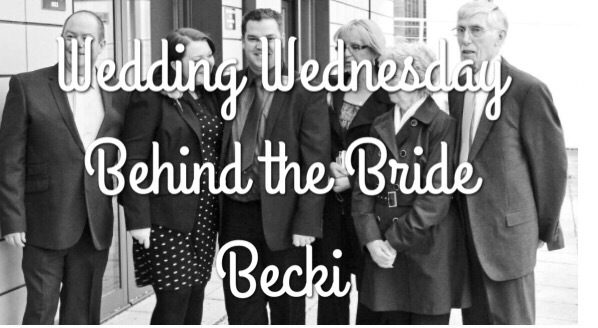 This week I have been speaking with Becki from The Mum from Brum about her lovely wedding on a tight budget. First of all, congratulations on your marriage! When was the big day? We got married in December 2013 – it was Friday the 13th and it rained. A lot. 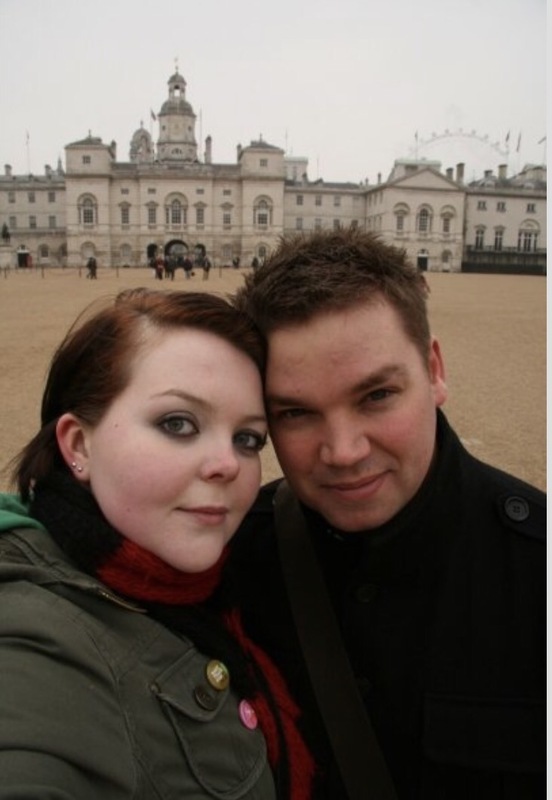 Hubby and I met through a mutual friend at uni – she was my housemate and a year below him on the same course. Our first proper meeting was in a pub for his 23rd birthday when I tagged along, but I had met him before at least once – he was sat on my sofa as I wandered through the lounge in my tartan pjs!! We quickly became best friends – so close that there were lots of rumours!! I used to stay over at his house and we were obsessed with Who’s Line Is It Anyway. We were friends for about 7 months before we eventually stopped being stubborn and went on a date. We’ll have been together 10 years this July. He proposed to me in London in January 2009 – he’d gone out and bought an amazing ring, and planned to ask me at the top of the London Eye. Except it was closed for maintenance! We spent the day walking around a freezing cold London doing the touristy thing, before heading back to my father-in-law’s flat where we were staying for the weekend. Hubby cooked a spag bol, and then told me to close my eyes when we’d finished eating. I genuinely wan’t expecting it, we’d only really been together 18 months! I told him to get up off one knee because I thought it would be hurting him (he has a dodgy knee!!) and called him a daft sod before finding my brain again and saying yes! Our big day actually ended up being a little day. We had started to plan a big day at Rowton Castle in Shrewsbury, even booked the date and sent out Save The Date cards, before realising that it was a LOT of money to spend when we should have been saving for a house – it was going to work out as about £10,000! We ended up cancelling the whole thing, and lost about £1000 in the process. Instead we got married for about £300 including the rings at Birmingham Registry Office, and had our meal at the local pub. I should probably add I was 7 months pregnant!! We decided to try for a baby in the summer of 2013 and caught an awful lot faster than expected!! We figured that once we had a child the chance of us actually getting around to getting married would be slim, so we decided to just get on with it! I wore a black and white spotted tea dress that just about still fit over my bump, Hubby wore his best suit. 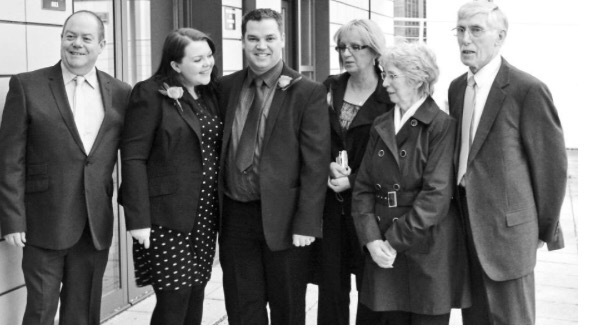 We had immediate family and a few friends and the shortest ceremony we could legally get away with!! We even walked into the room together hand in hand which was lovely. It all rather flew by, but after we signed the register my father-in-law gave me a huge hug and officially welcomed me to the family ha! It was just lovely to have everyone together in the same room – it might have only been a simple ceremony but it meant an awful lot to us, and to everyone who was there. Everyone sitting down together in the pub was lovely too, it’s not often we get that much of the family together all at once. We didn’t arrange any button holes, so none of us really matched – that would have been nice. Also, I’m a bit sad that we didn’t do real invitations – because we got the date arranged at such short notice we only invited people through Facebook. And I wish we’d had a photographer – we passed my DSLR around, but it was raining that much and we didn’t have much time so it made it difficult to get any photos. The wedding we were originally planning at Rowton Castle seemed to get away from us – they were making decisions for us and it was far grander than we needed or wanted. It wasn’t very “us”. Take a step back from the traditions and the big budgets and figure out what you actually want from your day. The number of people who’ve said that they wish they’d done what we had is huge! They all say they loved their day but can’t remember much of it because of the stress, or wish they’d put the money into a house or a holiday instead. If you want the huge day then go for it, but it’s not a necessity – a little day can be just as wonderful.